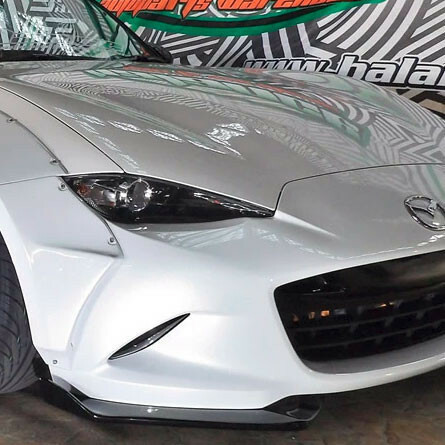 Front diffusers with end lip made by Rallybacker for the 2016+ ND MX-5 Miata. 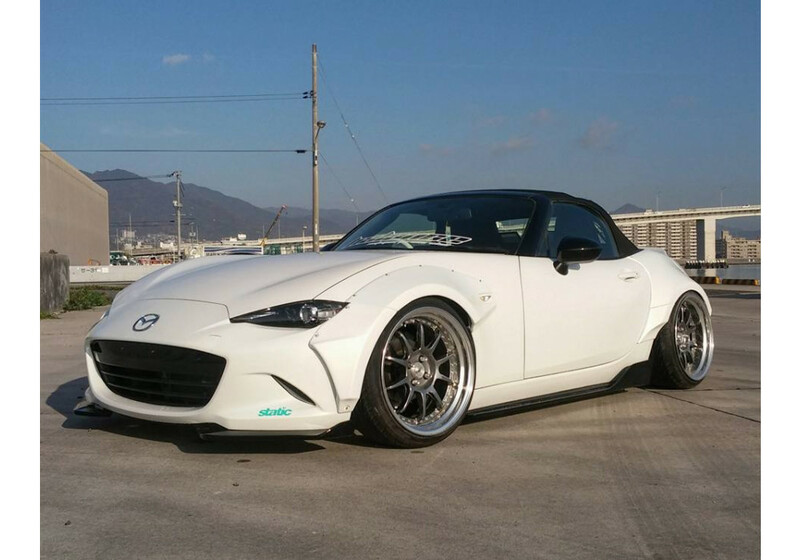 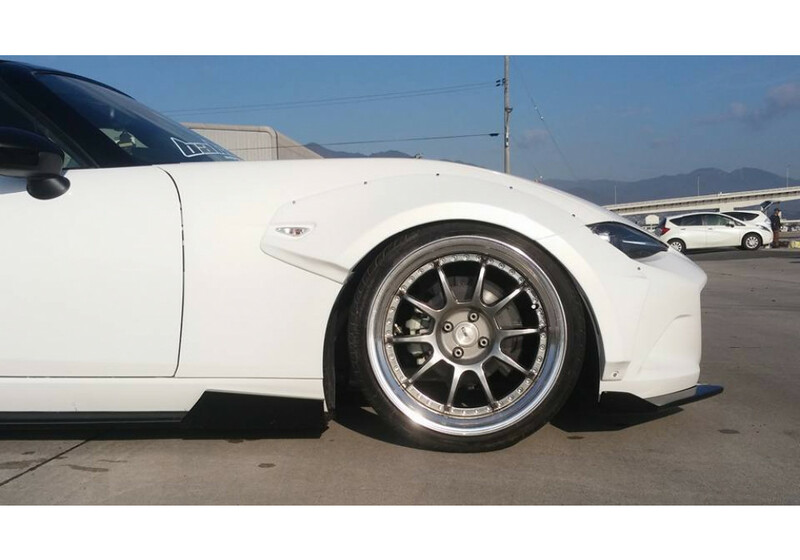 It follows the shape of the car nicely and replace the factory front diffusers with some wider ones that also have an end lip to make the car look wider and bolder. 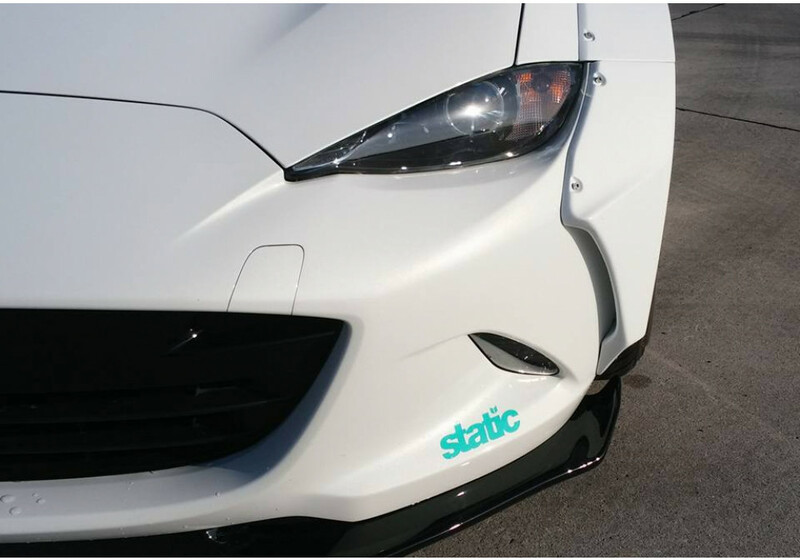 Rallybacker Front Diffusers should be ordered at REV9 Autosport https://rev9autosport.com/rallybacker-front-diffusers.html as they provide the best service and speed we've seen so far!